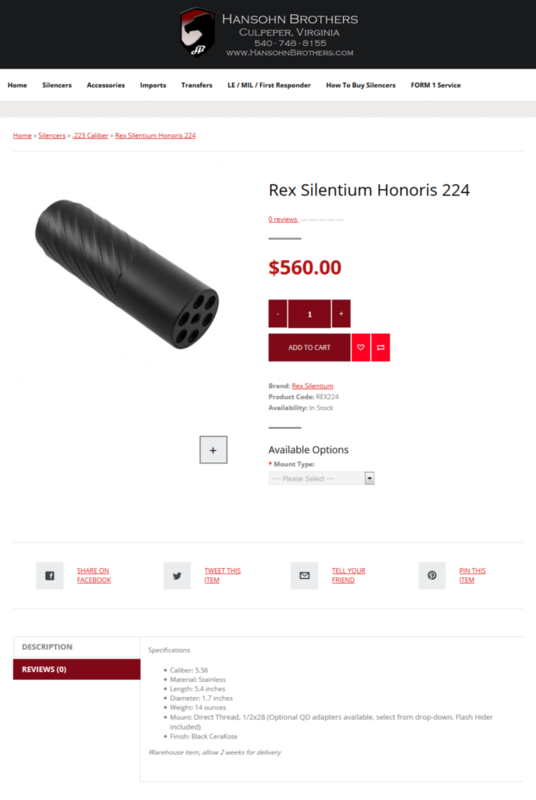 We welcome Hansohn Brothers as our new suppressor dealer in Culpeper Virginia! 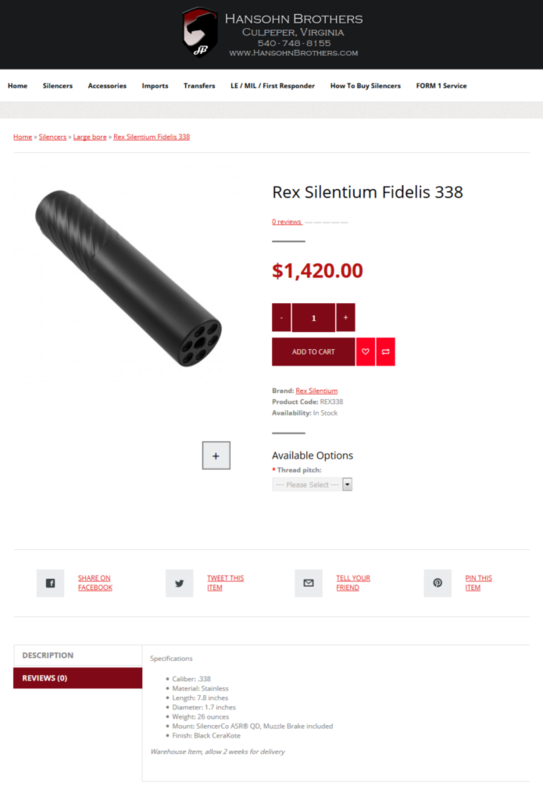 They are a full service silencer dealer making the purchasing and paperwork process smooth and accurate. Click on the screenshots below to purchase.